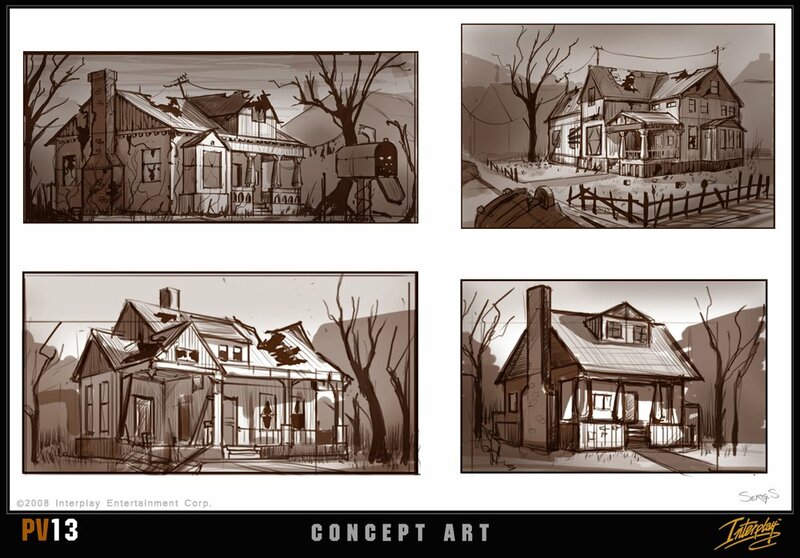 Interplay has released two more pieces of concept art from Project V13, the MMO set in the Fallout universe. One of them will excite you, the other probably will not. 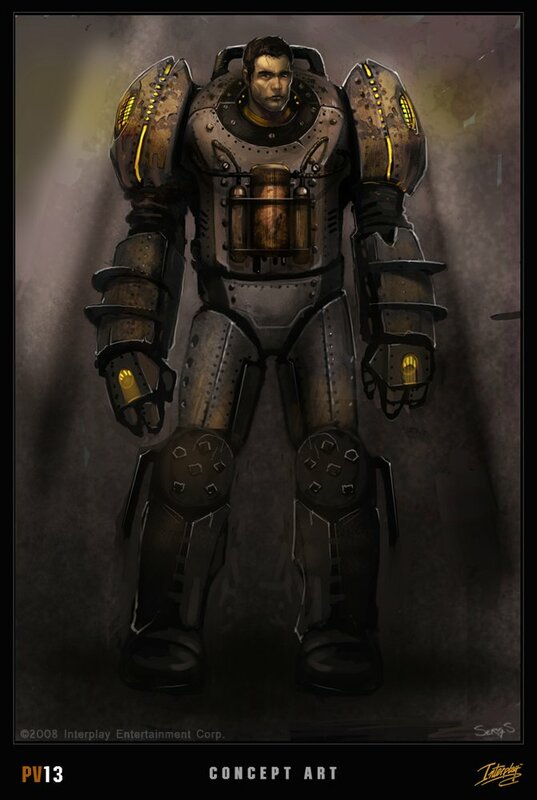 The first picture below is a full-color drawing of a wastelander wearing power armor. The second is a series of black-and-white sketches of houses. You can probably guess which one we found more riveting. If they're still not sure what the houses are going to look like, then yeah, this game's still pretty far away. Depending on how the lawsuit turns out, it may not be released at all.